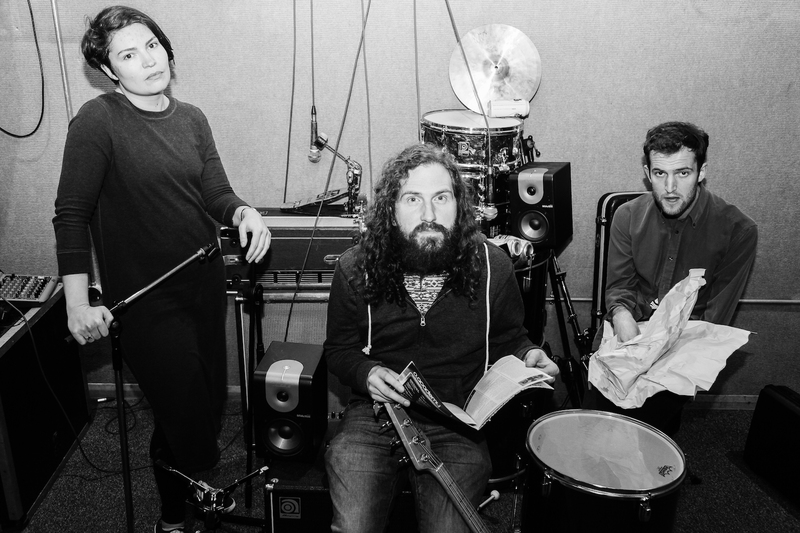 Lucy Leave's shuddering art rock guitars and bizarre lyrics made our ears prick up and our feet shuffle. Their awkward, fuzzy melodies will transport you to a basement gig underneath some kind of polyrhythmic Derek Bailey University. But rather than feeling exclusive, the little moments of melody and the flourishes of gripable riffs draw you back in. If you've never listened to jazz, then this might be your psychedelic gateway EP. To help us keep track of the jumps between Black Sabbath doom breakdowns, Pink Floyd floating vocals ,and skipping noughties art rock riffs the band have given us a track by track breakdown of their exploration in space melodies, The Beauty of The World; out later this week,15/06/17. 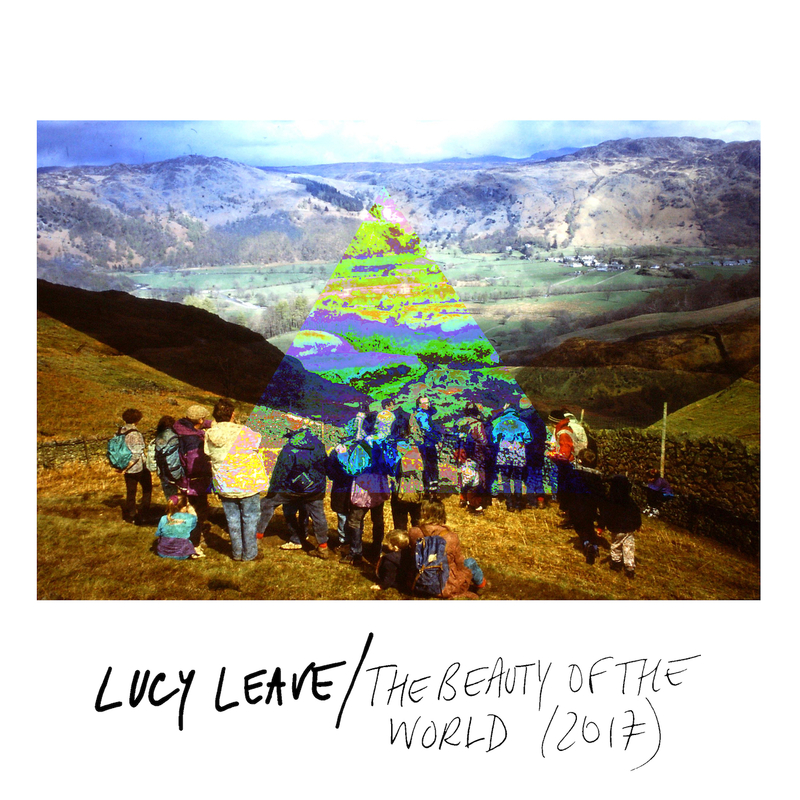 LUCY LEAVE: The new EP was mostly recorded in a three-hour session one wet Wednesday in our rehearsal room at Rotator Studios in Oxford (after an aborted first attempt last winter), and endlessly tinkered with by the band at home for months afterwards. It has six songs, two sung by each of us, and has been a year in the making. ‘Talk Danish To Me’ is a whimsical pro-Europe song written on holiday in Copenhagen just after the referendum last year, using half-remembered fragments of Chaka Khan’s ‘I Feel For U’, Holy Moments and Fredric Mompou, as well as the simple Samba rhythms Mike was teaching his music class at the time – that opening bit is ‘pepper and salt, with potatoes’. Try it, out loud. It was also an attempt to write something danceable, like Pumarosa who we’d just seen at Truck festival, and because we felt that we didn’t have enough, let’s say... love songs. So it’s meant to be dance-y and singalong-y and communal and inclusive, but 52% may disagree, and in any case the whole-tone scale is difficult to sing. ‘The Beauty Of The World’ started with just a drum-beat and ended up, with the addition of some weird guitar chords and bass cross-rhythms, being typical of what no-one else calls Jazz-Grunge. It’s based on a quote by one of our biggest heroes, D. Boon of Minutemen. It’s kinda angsty, but it’s a paean to family of all sorts, and as such it’s a hopeful song. ‘NIGHTROAD’’s lyric was written by Jenny on a car journey, and mixes a kind of uncanny nostalgia with intrusive thoughts about your own violent death. The music came from improvisation, and came together quite quickly without too much consternation, unusually for us. It’s doom-groove – we tried very hard to make sure that it didn’t turn out to be The Reggae One. The first three songs on the EP are the pop ones, the second three are weirder, so the moodiness of this one is a good transition, we think. Blogger Laura Snoad wrote that it ‘throbs with heady longing’, which we like. ‘Josh’ is a song about our early heroes the Red Hot Chili Peppers, their new guitar player, and the frustration that comes with trying to engage with the world outside. It was mainly written by Pete and went through many different arrangements before we settled on this one. Its psychedelic leanings are influenced by Matching Mole and Syd Barrett. The final song, ‘Chant//Fresh Crepes’ started with a Buddhist chant converted into a drum-beat, and again the music was worked up by us in rehearsal. The music uses crunchy ‘jazz’ chords, but only because there is a harmoniser pedal on the guitar throughout – the chords as played are pretty conventional, so in more than one way it’s a song made possible by consumer goods... It’s sung by Mike and Pete in a way that suggests each vocal line ignores the other, and as such is an argument between Pete’s outward-looking hopefulness and Mike’s downward-looking love of his brightly coloured new trainers.